As long as the advance reader reviews keep rolling in, I will keep posting them, all the way through tomorrow's book launch at the BoB (Brew on Broadway). If you haven't signed up to go to the Fairmist Book Launch, and you would like to, there is still time. Don't miss it! In the novel #Fairmist, Todd Fahnestock has created a deftly crafted tale which fans of the fantasy genre will find addictively immersive and truly enjoyable. The story’s splendidly realized characters inhabit a world simply cracking with tension and conflict, and the narrative’s interlocking approach to points of view, with chapters focusing on the main players as they try to keep their mental, spiritual, and yes, quite often their physical balance makes for an exciting read. Fahnestock’s most impressive accomplishment in this book is, in my opinion, the seamless and subtle way that the numerous conflicts and tensions driving the plot forward are in play simultaneously, without sacrificing the sheer fun of a good old, fantastical romp. In this first installment of the story the tremors rumbling beneath the surface promise a tantalizing and bumpy road ahead for Grei and company. 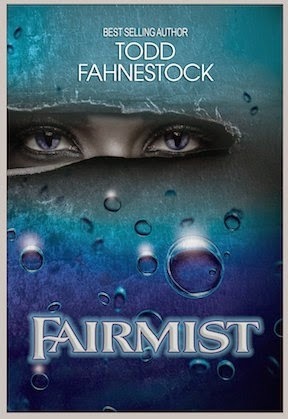 Fairmist by Todd Fahnestock is a wonderful new take on the fantasy genre. The setting is a magical world where people live surrounded by magic that they don’t understand and can’t practice, a part of everyday life, a legacy left them by a lost race of powerful beings. Where did the Faia go and why did they leave humanity to its fate? What are these slinks that terrorize the Thiaran empire now, and why do they require one child sacrifice every month? Questions lead to answers….which lead to yet more questions. 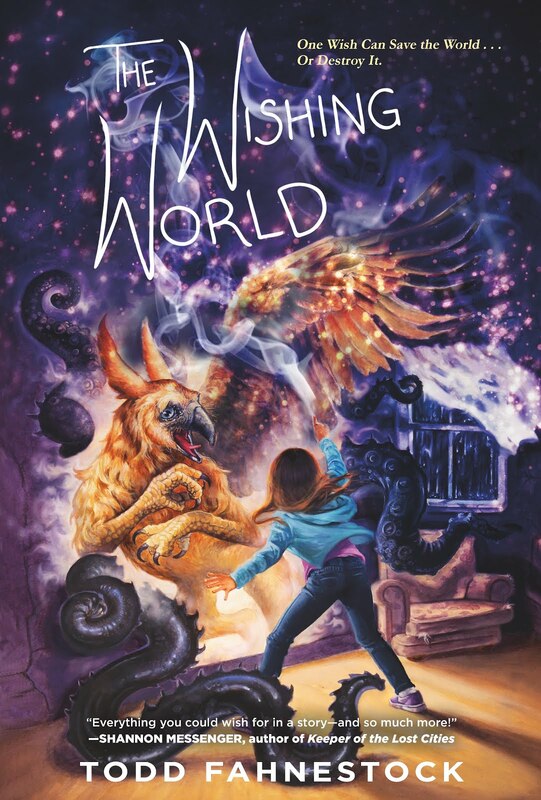 Fahnestock has given us a briskly paced story that focuses on the characters without getting bogged down in layers and layers of overly detailed world building or the spinning off of multiple, hard to keep track of, plot-lines. His characters are strong and each enters the story with a well established sense of purpose and self. But is that sense conviction based on the truth, or lies? Is everything really as it seems? Interesting characters, original villains, and a story that illustrates the fact that good and evil are not necessarily black and white, but exist with many shades of gray in between. Good people can do evil things: out of fear, or for love, or because of lies. Fairmist is a thoroughly enjoyable read. I look forward to the sequel. As an avid Fahenstock Fan, I am always excited to read anything with his name attached. This was no exception. #Fairmist leads the reader to question what they are told and the reality which surrounds them. When betrayal and illusions are looming, Adora and Grei cling to love. Their connection is born when they were children who still grasped onto their dissolving innocence, so pure that the reader has no choice but to cling to it as well. Watching the characters grow and evolve while fighting their desires in hopes that their sacrifice will lead to the greater good was my favorite part of this story. This is an amazing tale that wraps up leaving a longing for the novel to continue on. In a crowded genre, #Fairmist carves out its own place amongst the best in our time. With its thrilling plot structure, and complex character development, Fairmist breathes fresh life in the epic fantasy realm. The reader will find themselves captivated by the heroes', as well as the villains', plights throughout the novel. I couldn't tear away from this excellent story. I haven't read high fantasy on a regular basis for many years, but “Fairmist” took me right back. The Thiaran Empire is a world as well-crafted as Le Guin's Earthsea or Guy Gavriel Kay's Fionavar. But something is rotten in Denmark, and Thiarians must sacrifice their children, the Debt of the Blessed, to keep the mysterious, demonic slinks from resuming their war upon the kingdom and slaughtering the people. It's treason to even talk about the Debt, much less question it, but our hero, Grei, is not the type to just let this injustice stand without question, and is therefore known as a troublemaker to both friends and family. His journey from delinquent to getting caught up in a very old prophecy to save the kingdom kept me up late reading more nights than I care to admit. What are the slinks, and why was there a war with them? Who is Adora, really? Is Blevins just a town drunk who talks too loosely about the Debt when in his cups, or someone more sinister? What is the Whisper Prince, and why is he the last great hope of this empire? I just had to know how it all turned out.